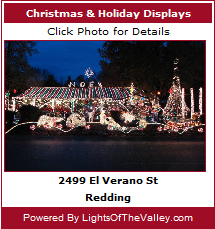 Thank you to Lights of the Valley for hosting a spectacular website featuring great Christmas Displays! 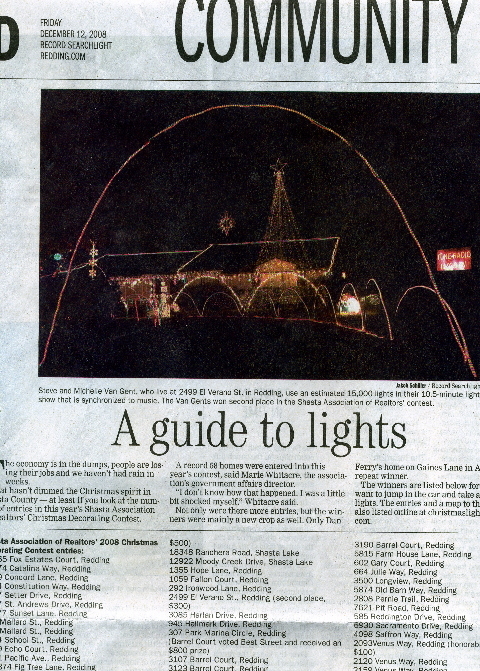 Thank You to KRCRTV for including our home in "7 Nights of Lights. " Thank you to Billy & Patrick at KNCQ-97 for taking the time to talk with us about our Christmas display. 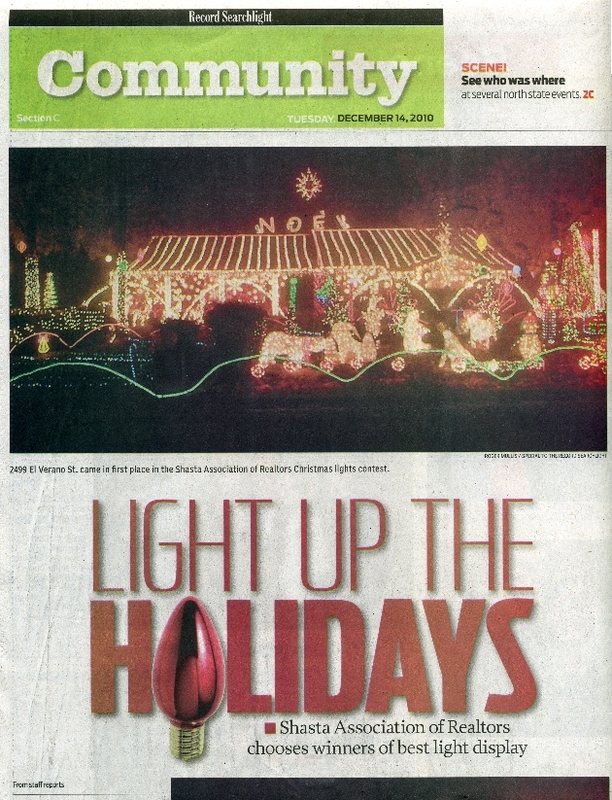 Thank you to the Record Searchlight for including the Christmas Lights Tour and the Shasta Association of Realtors Decorating Contest information in your newspaper. Thank you to the Shasta Association of Realtors for sponsoring the annual Christmas Decorating Contest! Thaank you to Scott Leak for taking the beautiful photos of our display in 2011. Check out his website or his Facebook page. 2012 "Most Lighted Christmas Parade"